Latin American History research papers look into the history of Latin America beginning with Columbus’ arrival in the New World in 1492. 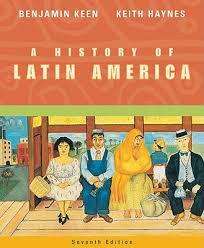 Latin American history can be said to begin with Columbus’ arrival in the New World in 1492. Until that time, numerous indigenous groups populated the Americas. The Spanish and Portuguese established colonies throughout Central and South America, thus creating hybrid cultures of Native and European elements. Throughout the colonial period, the Spanish attempted to retain tight control over who could and could not travel to and from the Americas. Central to their grip was the promulgation of the Roman Catholic Church throughout the region. However, many elements of native religions were either adopted into or blended with Catholicism to create unique religious elements to Latin American Christianity. Until the 19th century, most of Latin America continued to be ruled as colonies, but during that century these nations began to achieve their independence. Most of Latin America was independent by 1825, creating a period of intense nationality, during which these new nations attempted to define themselves. Resource exploitation allowed for the creation of a wealthy elite, which came to dominate these new nations. Adding to the difficulties was the interventionist attitude of the United States. Beginning with the Monroe Doctrine, the United States frequently intervened militarily in Latin American nations when it suited its purposes. As a result, many Latin American nations experienced long periods of political and social instability. Cultures of South America have changed and adapted in various regions over time as a result of the arrival of new people, climate changes, changes within the regional populations, imitating of neighbors, changing levels of natural resources, and the continuing changing lifestyles and cultures that identify all humans. Simon Bolivar and Latin American Independance - Simon Bolivar helped defeat Spain, the European nation with the most prominent colonial holdings throughout Latin American. Paper Masters writes custom research papers on Latin American History and look into the history of Latin America beginning with Columbus’ arrival in the New World in 1492.